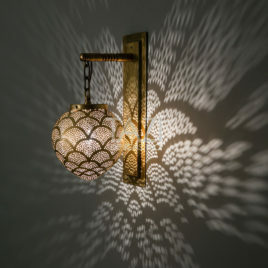 A fun, rustic brass pendant. 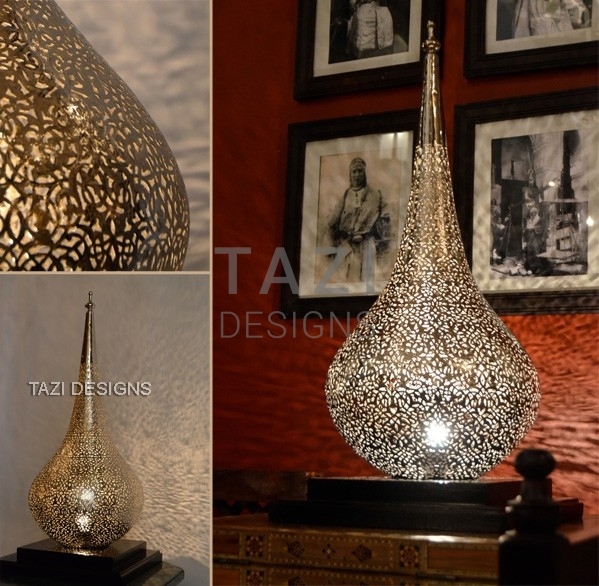 Handmade in Morocco. 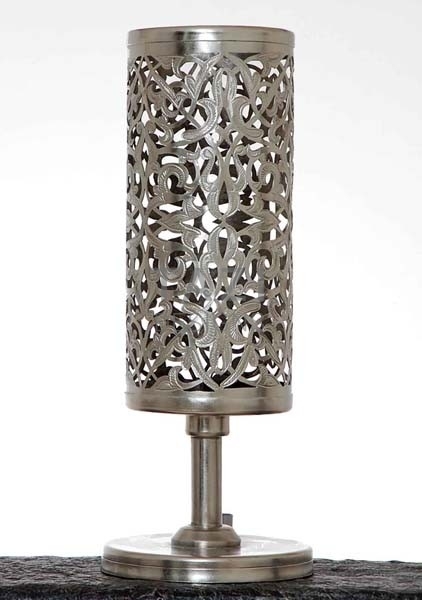 The lamp metal is hand-cut and pounded into shape. 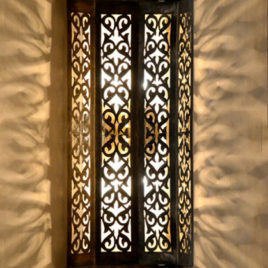 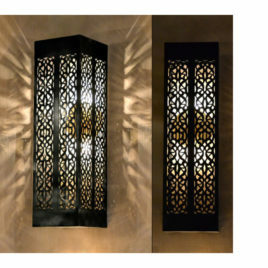 The lamp finish is hand-rubbed antique bronze. 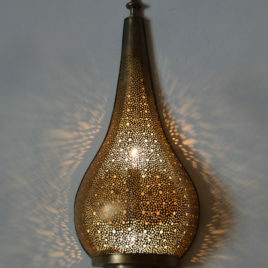 Suggested use: this pendant light could work over a kitchen counter or bar counter. 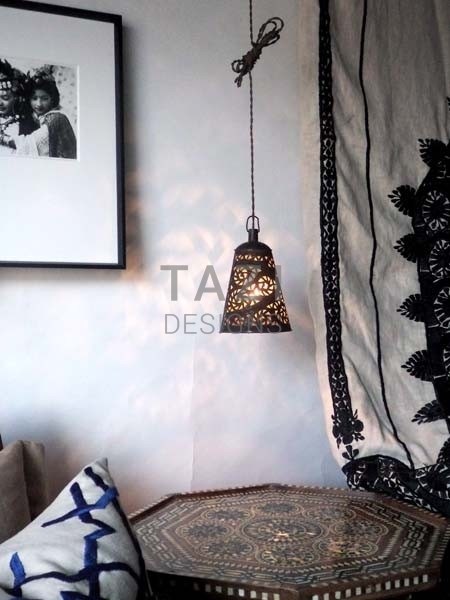 This small hanging lamp can also work over a small bistro table or hung in a cluster.